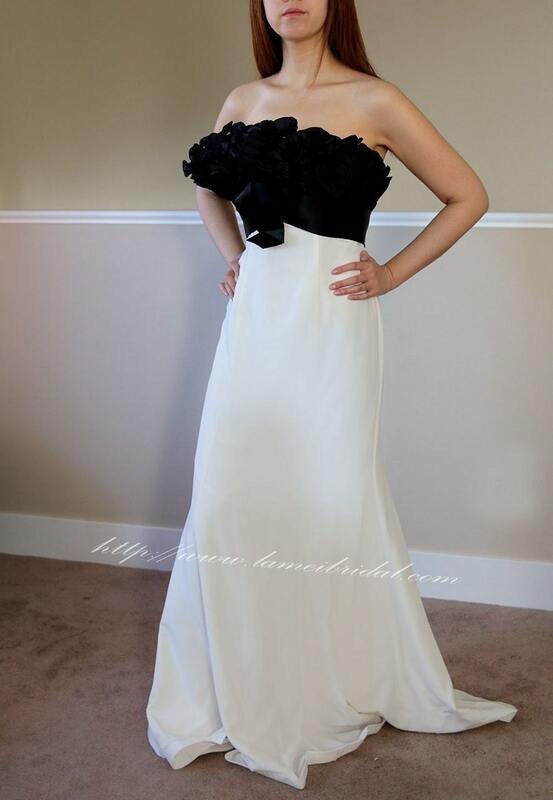 Black and white dress with rouched bustier top. 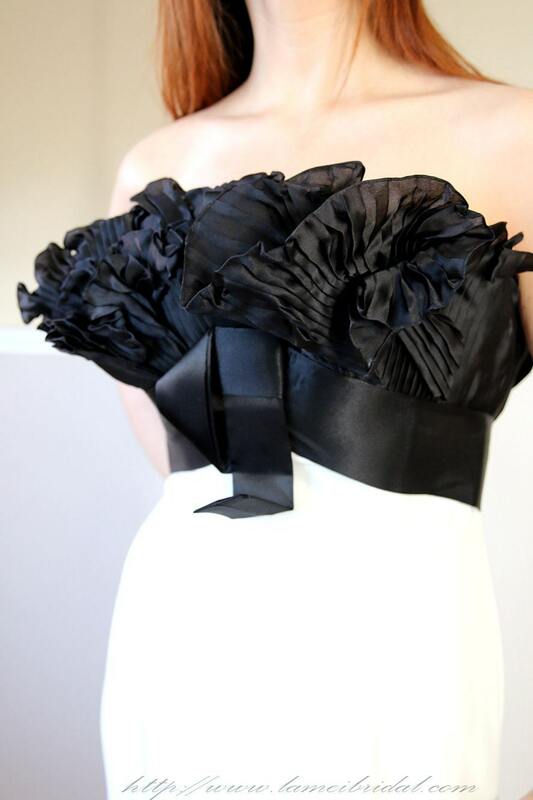 Cut black flower detail on front and a high waist sheath skirt. 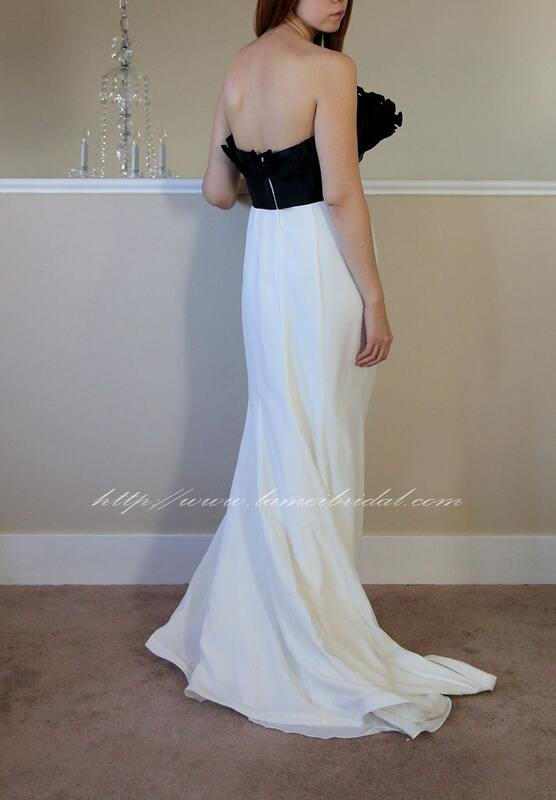 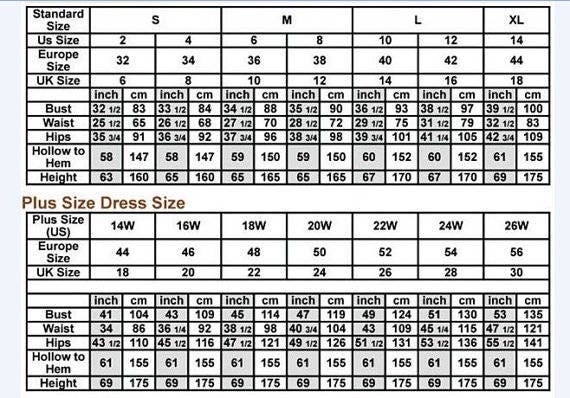 The dress is fully lined and has a satin hem attached to the bottom of the lining.